Samsung has added a new monitor to its range with the launch of the Samsung VC240 LCD Monitor. 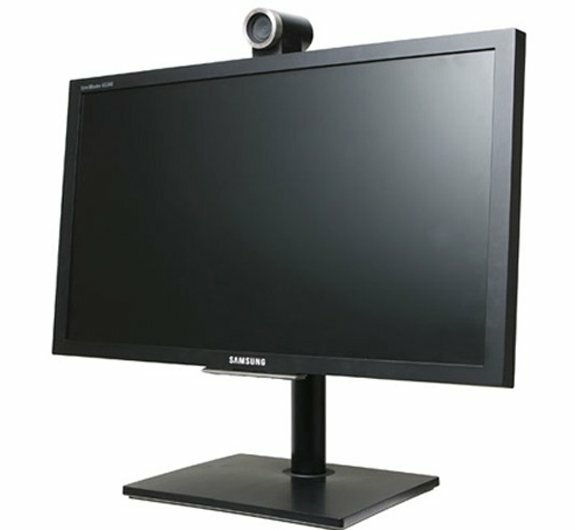 The Samsung VC240 LCD Monitor is a 24 inch monitor, with a built in 5 megapixel webcam which can be used for HD video conferencing. It will work with the majority of VoIP software and SIP control units, the video will be compressed in H.264, and it also has a built in noise cancelling microphone. The Samsung VC240 LCD Monitor will go on sale later in the year for a massive $1,999.